Your donor thank you message is an important step in engaging with your donors. Finding the right balance of formality and personality can be the difference between a one-time donor and a life-long donor. 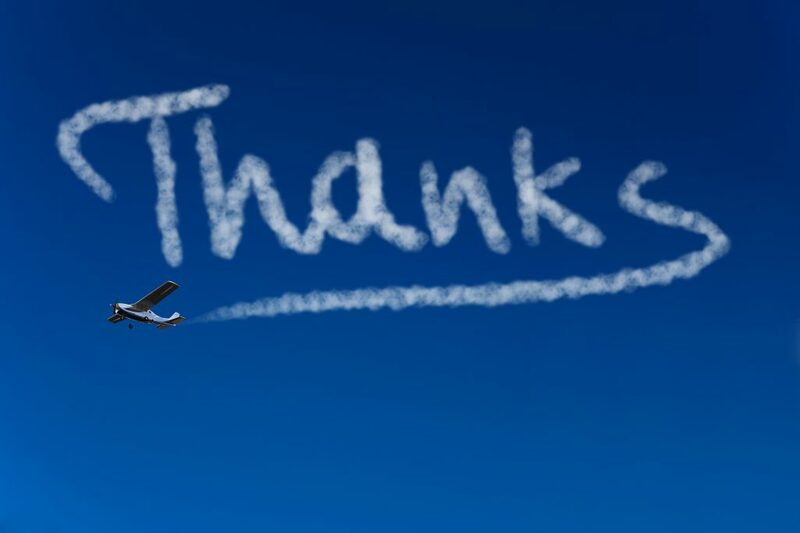 From thank you letters to emails to personal phone calls, how you express your thanks says a lot about your organization. Ready to go beyond the traditional donor thank you? Send a birthday card to donors, reminding them how important they are to the work your organization accomplishes. Have your board members personally call donors to say thank you. Ask those who directly benefit from donations to write a handwritten note of thanks. For nonprofits helping animals, say thank you with photos (or a paw print). Create a YouTube video to thank donors when you reach a campaign goal. Have some exciting news to share? Send a special announcement to donors with images and a note to thank them for making the accomplishment possible. Invite donors to a thank you reception. Show your appreciation and get face time with your donors; giving you the opportunity to learn more about why they support your organization. Many organizations send thank you cards and year-end appeals during the November/December holiday season. Don’t overlook other holidays as occasions to express your thanks. Dedicate social media shout-outs to thank and recognize donors. Send donors a Top 10 List of accomplishments for the year demonstrating how their donations made an impact. After all, without their support, you wouldn’t have a Top 10 List to share! Download our eGuide, “How To Write Better Donor Thank Yous,” for more on how to show your gratitude and engage donors.